To keep your overhead as low as possible, why bother leasing or renting office space, and then hiring, training, and managing employees on your payroll, when you can do so by outsourcing. Hiring virtual employees cuts down on valuable operating costs as well as expensive overhead. The entire world also becomes your employment platform, as you can pick and choose the most talented individuals, only when you need them, and usually save money as well. 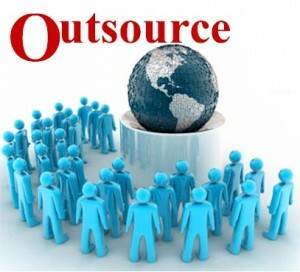 Technology now makes the outsourcing process extremely easy and affordable. But it’s proving that managing virtual employees, freelancers, who can be at times thousands of miles away in a different culture, can become tricky to manage. So listed are a few tips on how you can find and then keep the best possible virtual employees. If you’re considering outsourcing your work, either full or part-time, hiring employees that you may never even meet, if at all face to face, there’s more due diligence required on your part because of this. But if the idea of using professional freelancers intrigues you, which will save you money for equally competent work, then outsourcing may be the right path. Your biggest challenge in doing so is making sure that these new hires are dependable, experienced, and the quality is there while working from their remote base. The best virtual workers are obviously those who are independent enough to not need constant supervision. When hiring freelancers for the first time, try meeting them face-to-face if at all possible, either in person or by videoconferencing. Ask all of the routine and pertinent employer, employee, interview questions that you would normally ask. Also ask for references and check them out diligently, especially if they’re offshore. Also do a search on the Internet for any information that you can find on that person. Whether the virtual employee is new, or if they’re an existing employee, write down exactly what you expect in terms of work deadlines, quality, availability, their input, and feedback. Also include legality details which could potentially cause problems because of the outsourcing process. Also get in writing what the freelancers expectations are from you, as well as from themselves. For instance, if they miss a portion of work during the day, do they plan, and do you expect them to make up for it working late at night. Discussing in detail what you both expect from each other, including hard deadlines, will usually prevent any misunderstanding later on. Also make yourself and any potential outsourced employees aware of some of the technical issues which are involved in remote work. One of the most common frustrations of virtual work for both parties is communication break downs. So it’s important that the technology issues don’t interfere with the flow of information. So make sure that you test beforehand to make sure that everything is compatible, allowing you to work together, whether by keeping all the files in the cloud, or sharing videoconferencing equipment. Google Docs, for instance, is an easy and popular way to collaborate as well as share data online. There are also popular VOIP solutions, such as Skype, which are inexpensive while offering options such as mobile calling, group video, and group screen sharing. There’s also other advanced videoconferencing options such as streaming video to make high-volume presentations. There’s also instant messaging which are extremely convenient for outsourced employees, such as: Yahoo Messenger, Google Talk, and AIM from AOL. These sources are all free to use and are adequate enough to do the job. Another method of keeping in touch is a service such as Present.ly, which is a Web-hosted network that’s similar to Twitter, but private and only available within your company. It’s also important to make sure that your company data is completely secure. Your virtual employees should not be using their personal home computers, for instance, to do their work, or allow their families or anyone else have access to their dedicated work computers. Make sure that your data is completely protected and secure, including the transfer, such as by using security programs which are available from, Trend Micro, or Symantec, etc. You’ll need to monitor your virtual employees a lot more closely in the beginning, and then ease off once they’ve proven you can trust them. Also tell them that you’ll be heavily involved initially with them in the beginning, gauging their progress and monitoring their responsiveness and efficiency. So if you expect them to begin working at 8 AM, make sure that they start on time. This can be done by scheduling a daily virtual “one-on-one” meeting at 8AM, and then set up weekly checklists for the work to be performed. Monitor how well they listen, follow direction, and pay attention to detail. Once you feel that you’re confident you can trust them, then you can relinquish a bit of control. Since these virtual employees aren’t physically at the office, you’ll need to go out of your way to make them feel part of the team. This especially if you have both in-house and virtual employees. If some virtual employees live too far away or are even offshore, for any important interactions, and depending on the freelancers role, it may be worthwhile to fly them in for the annual sales meeting or a team-building event on occasion.